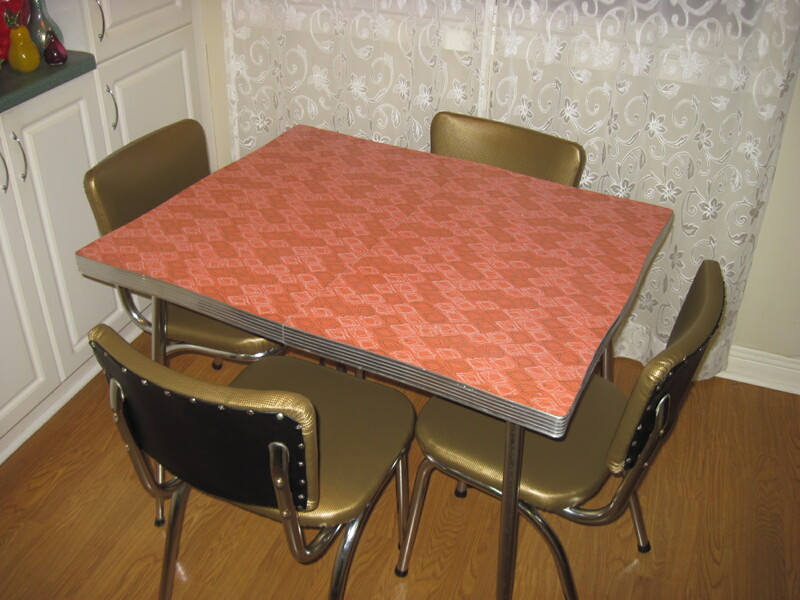 Newly recovered chairs go well with the coral and gold chrome table top. The black backs on the seats adds a bit of punch. The gold vinyl has a nice textured look and glossy finish. This set was a special order for a good customer for Christmas and is not for sale. If you would like to see more fab finds, please visit the Almonte Antique Market, 26 Mill Street, Almonte ON. Just 30 minutes west of the city of Ottawa. Open 7 days a week, all year long, 10am to 5pm. Over 50 dealers in a 2 storey heritage building in downtown Almonte. 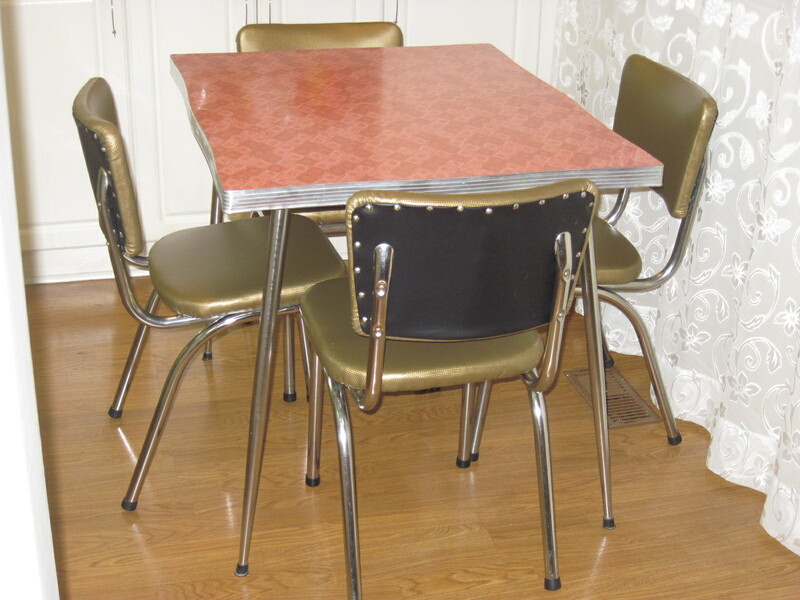 There are often retro dining sets available by a number of other dealers in the market . 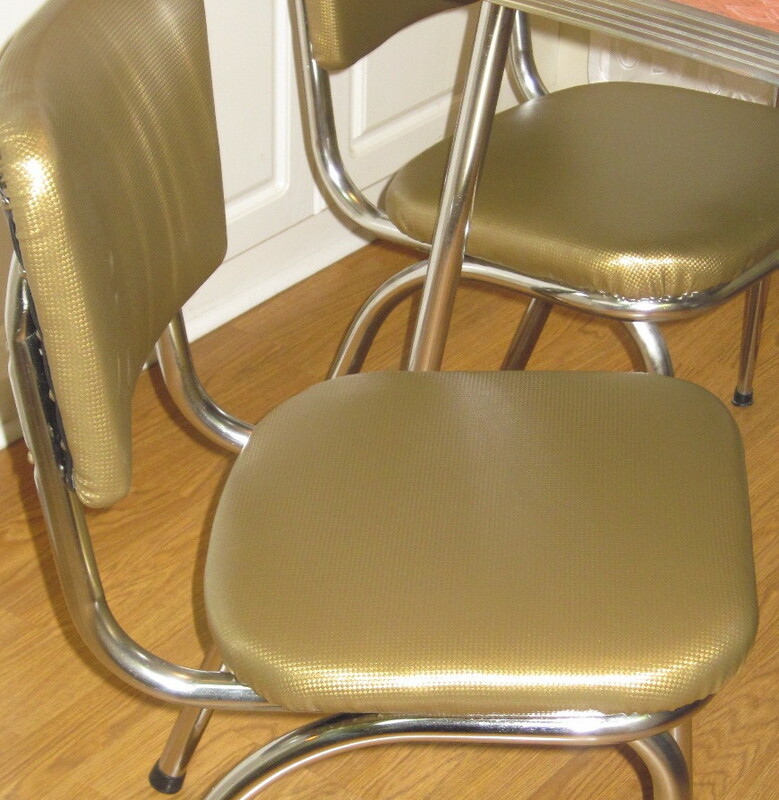 Do you still have this table and chairs???? No, this set was sold a while back.